Create a Project with a scored Questionnaire or ‘Survey’ page, click here if you’re not sure how to set a page to be scored. Next, open the page which you would like the ‘Graph’ to be displayed on (this needs to be a different page to the scored page which you are reporting from). Double click a text field. 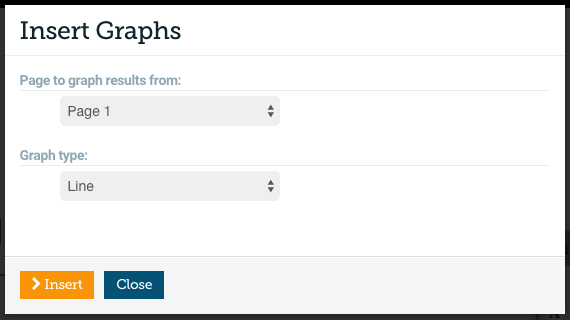 Choose the page that you would like to send a score from using the ‘Page to graph results from’ dropdown. 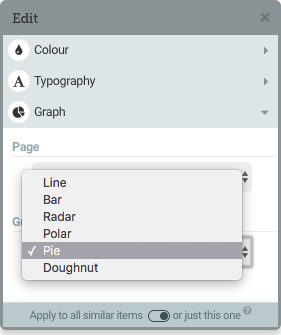 Choose the ‘Graph type’ you would like. Now when you release your course your graph will appear and your Learner will be able to see information on how their peers answered. …now when you view your course as a finished Release you will see your graph results. 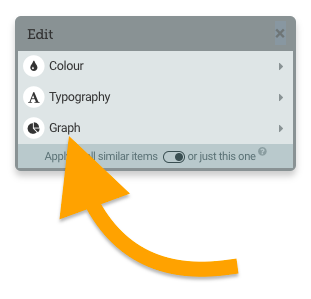 If you wish to change the colours that are used in your Graph, you can do so by accessing your Style, choosing 'Advanced options' and selecting 'Graphs'. 💡 Pro Tip! Your graph will only display results in your final release. Until you make a release ‘Preview’ will display placeholder values, your graph will update with the latest values every 10 minutes. Polls will reflect the options chosen by all learners who have attempted the course. Please note that if you Re-Release your content your Graph data will refresh. 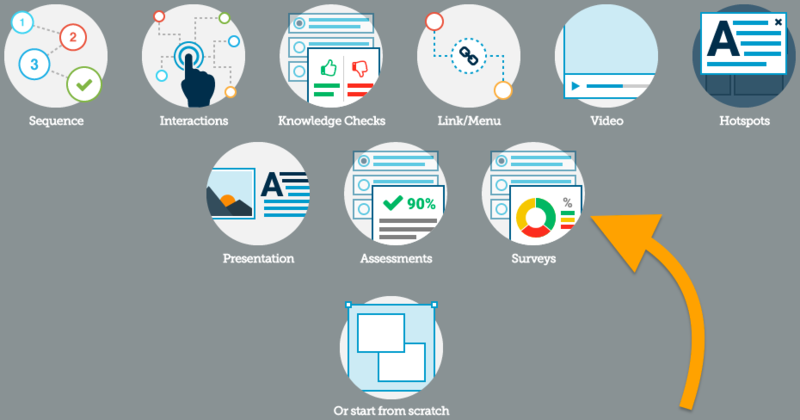 This feature is for use with the ‘Online (Public)/(Private) or ‘SCORM for Learning Management System’ Release modes. 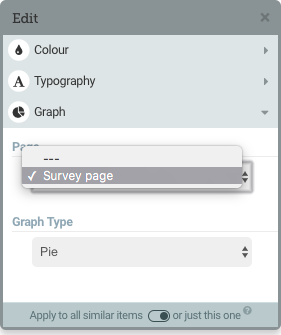 Please note the Graphs feature is not available for use with Multiple Response questions.